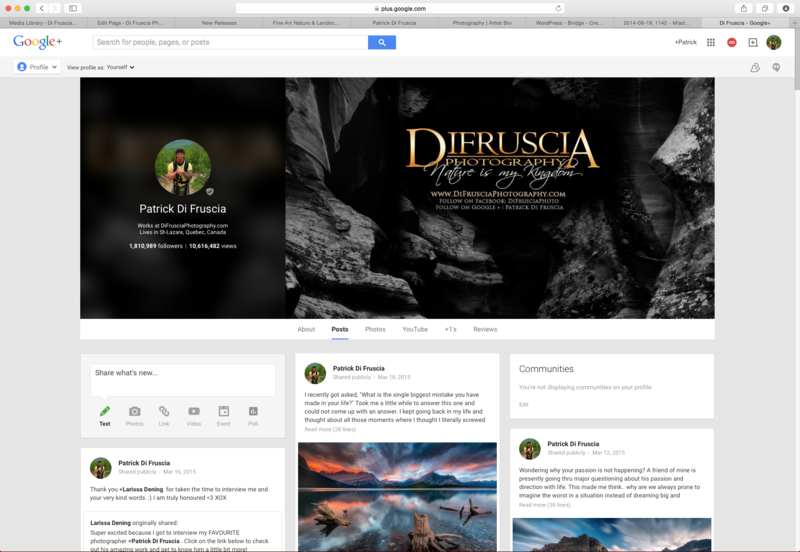 INTERESTED IN HAVING DI FRUSCIA AS AN AMBASSADOR TO YOUR BRAND OR COMPANY? 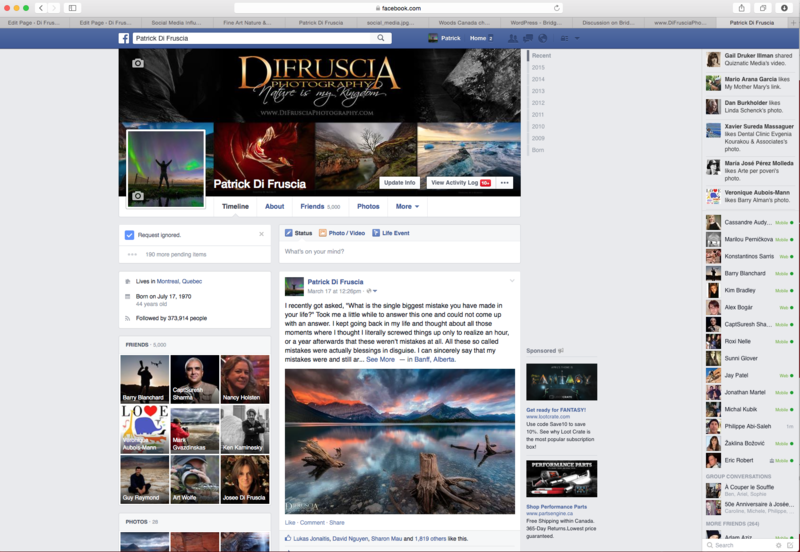 Di Fruscia has established and branded his name worldwide via all social media platforms and achieved tremendous success doing so. He presently has incredible reach & interaction with his followers. He presently has over 2.2 million followers on all social media platforms combined. His followers are extremely important to him. He personally thinks that every single one of them has a big part in why he is able to do what he loves today and his very grateful for that. – He has been added twice to the Google+ SUL (Suggested user list) interesting people to follow recommended by Google. 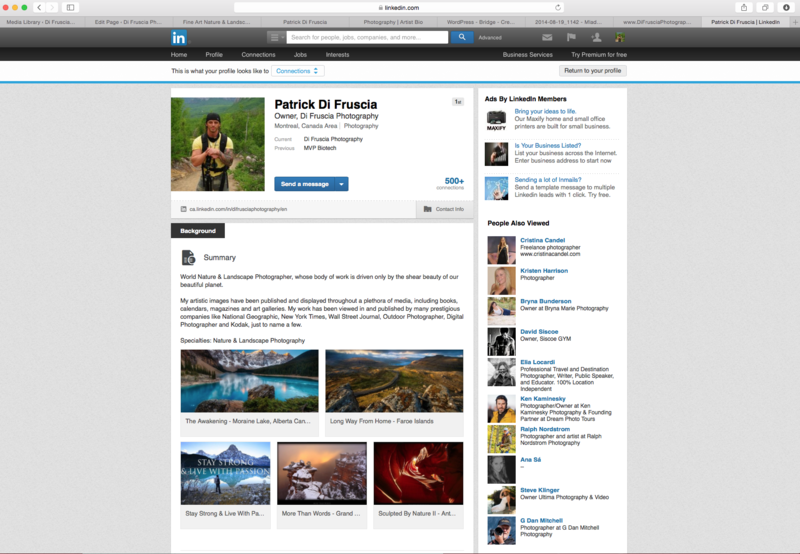 – He has been made a curator on Google Current and quickly reached close to 20 000 subscribers. 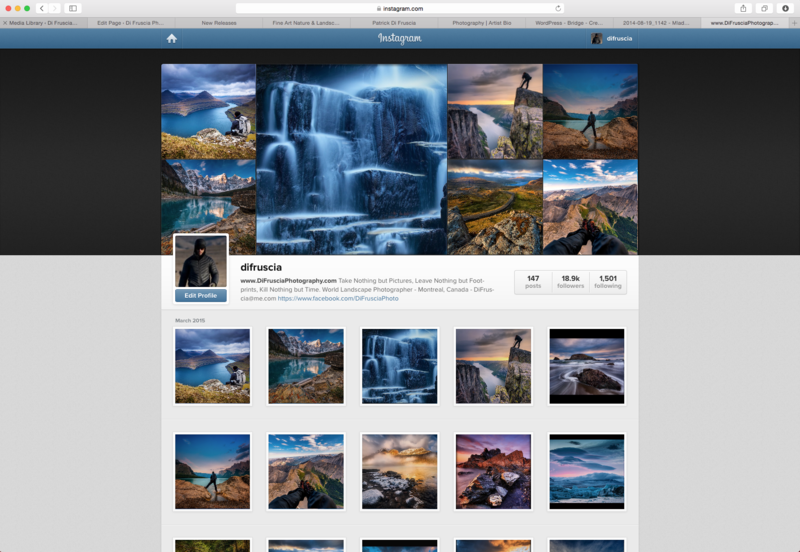 – He has been included by Facebook in a selected group of worldwide photographers working closely with developers in making the “Facebook photography experience” a better one. 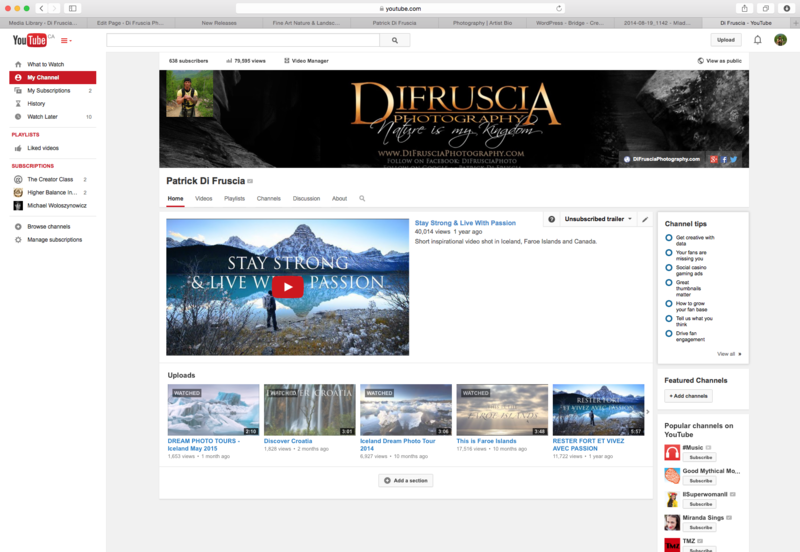 Di Fruscia has released a short motivational video titled “Stay Strong & Live with Passion.” The purpose of this release was to inspire others to reach out for their dreams while showcasing the beauty of our incredible planet. This video has been viewed and shared all over the world over 100 000 times. 1- Visibility on all Social Medias: Again Di Fruscia has acquired more than 2 million “followers” on social media and that number is growing daily. In most cases the right target exposure will be much greater than putting an ad in a magazine or newspaper. Pictures, videos and comments can be posted on all social medias mentioning your brand/company if relevant. This will give any company tremendous exposure targeted directly to to right demographic of potential clients or public. 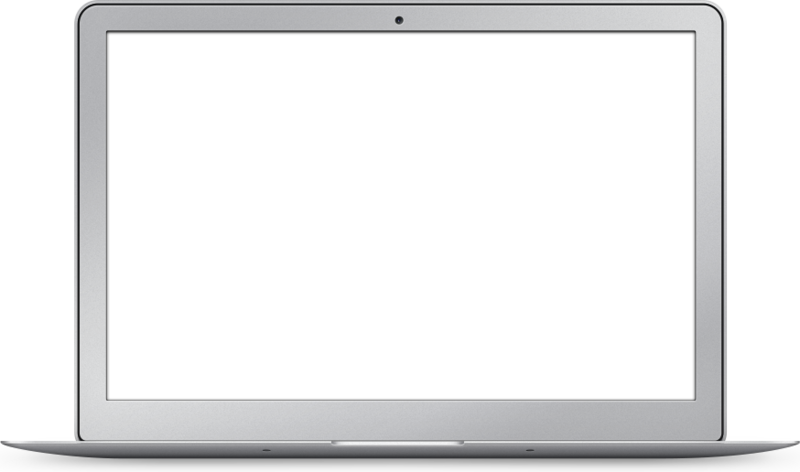 2 – Dedicated Page: You will have a whole page dedicated to your company in the Partners section. 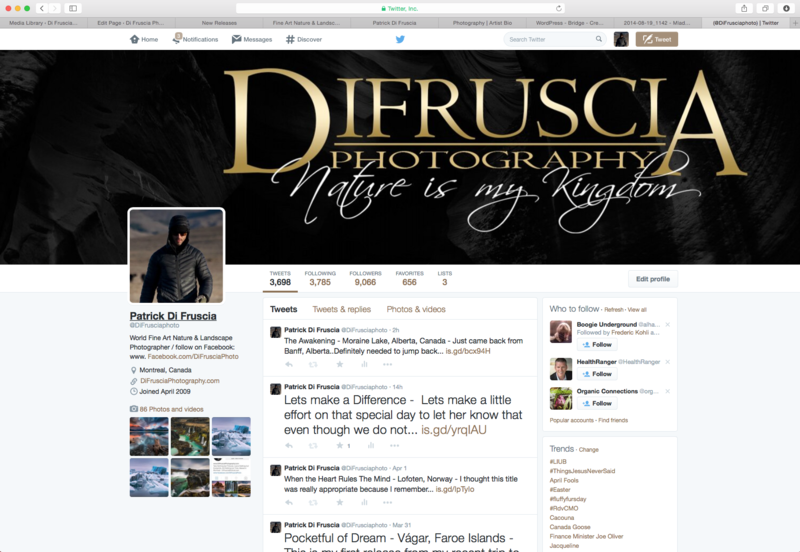 4 – Di Fruscia will only choose to become an Ambassador for companies that he truly believes in. He will never mislead his followers by promoting any kind of products or services he is not entirely satisfied with.